Maldivian Air Taxis now washes down its 27 Twin Otters sustainably and without risk of harm to the environment. By taking the time now to make more responsible choices the company has future proofed it’s maintenance business against the continually escalating environmental compliance standards in Maldives. By substituting its cleaners with Triple7, Maldivian Air Taxis is helping preserve the pristine Maldives waterways for future generations and – for the good of the planet. By choosing to be environmentally sustainable Maldivian Air Taxis has future proofed its business against the risk and cost of increasing environmental compliance standards. This “green initiative” also opens up new marketing and PR opportunities for the tourist business. By employing highly targeted cleaning agents Maldivian Air Taxis can now clean their aircraft at the mooring with powerful cleaners that do not risk damage to sensitive parts or surfaces. This means faster, simpler maintenance and overall fewer maintenance hours. 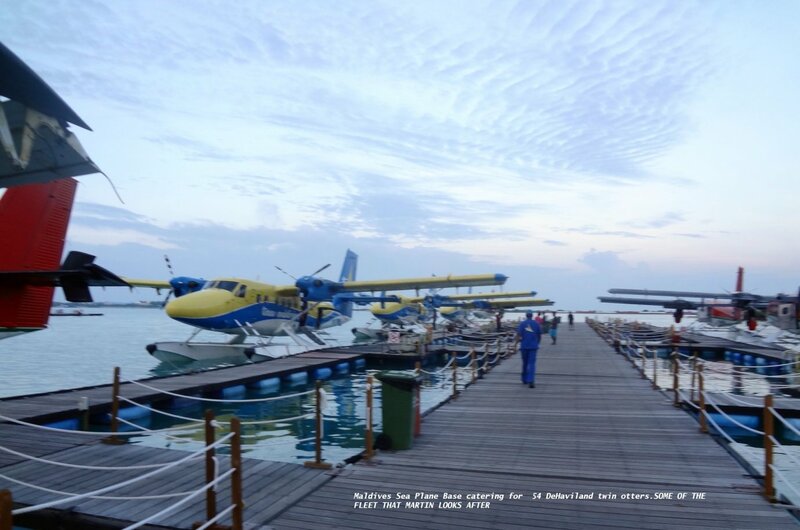 The Maldivian Air Taxis Company operates 27 De Haviland Twin Otter seaplanes, all of which must be serviced within the environmentally sensitive Maldives area without causing harm to waterways, animal and plant life. The company services all 300 Maldive Island Resorts, plus other islands – 1200 islands in total. At the height of the tourist season up to 3000 people are ferried to and from the resorts daily with the furthest resort some 2 ½ hours away. Being such a remote part of the world all aircraft servicing, major overhauls and checks are completed at the Air Taxis base facility within the Maldives. As part of this maintenance schedule the entire aircraft fleet is washed down at the end of each day to remove all traces of salt and other soiling from fuselages, intakes and exposed areas of the engine. This occurs at the aircraft mooring and any run-off enters the sea directly. How do you efficiently clean 27 seaplanes everyday without chemical run-off affecting the sensitive Maldives waterways? The source of cleaning agents in water ways is usually associated with direct run-off or leaching. The actual environmental impacts can be the result of the cleaning agent itself or harmful compounds produced when the agent biodegrades or reacts with other chemicals in the environment. Envirofluid accompanied the Trans Maldivian Airlines Team on an inspection of their base and facilities and suggested alternative cleaning practices. The Triple7 range has provided Trans Maldivian Airlines cleaning technology which has improved cleaning results whilst reducing risk and protecting their health and environment. These scientifically advanced formulations are designed to target the desired cleaning action in isolation whilst doing away with the chemical “overkill” associated with the hazardous chemicals normally used. This includes the environmentally damaging side effects associated with most common cleaning agents.